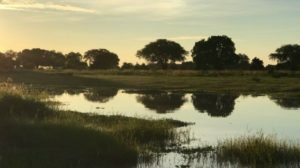 In mid-February the Lion Camp Refurb Team flew into Mfuwe, climbed on board the Lion Camp boat and traveled up the Luangwa River to camp. As Oscar (our multi-talented guest relations manager, expert tailor and boat driver) skillfully avoided all the hidden sandbanks and hippos, the team spent the journey looking out for wildlife along the banks of the river. 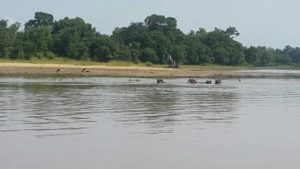 The Luangwa River can rise and fall quickly and the team were very lucky that the rainfall patterns in February resulted in a high river and a fairly smooth (and dry!) boat trip up to camp. 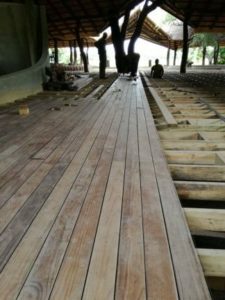 The purpose of the journey was to see how the renovations were progressing, make a few final decisions on the interiors and to check that everything was running to plan. All the rooms were being wired up with light switches and powerpoints being set into the rooms. We have taken onboard feedback from our guests and each room will now have a variety of points from which you can charge cameras, batteries, phones and iPads – all at the same time! The plumbing is now being completed; all our beautiful bathroom fittings are set into concrete which is being carefully coated in a cemcrete finish. The canvas windows and walls of the rooms are being made and stretched into place. Each wall is a slightly different size so this is being done by hand by a team of canvas tailors and our window straps are being stitched into place prior to each wall going up. Our doors are being set into place between towering gum poles: a feature piece in our new rooms. In the main area the floor is going down and the toilets are in place, and our new horse-shoe shaped bar is being created slab by carefully thrown slab. 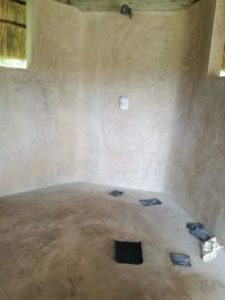 The Boma has been created and is just waiting for its cemcrete finish. We are making all our bespoke furniture in camp. This is well underway now and we are confident that you will love our new beds and daybeds. We are recycling our old pine floorboards to make new modular dining tables, so we can offer individual dining in the main area, and private dining for guests who request it. Our new signage has been carved ready to put into place at the end of the rainy season. Tristan Davenport represented Lion Camp at the Kamageo Safari Road Show in the UK in late February/early March. The event went really well and was well-attended despite all the snow. Thank you to all of you who took the time to meet with Tristan. 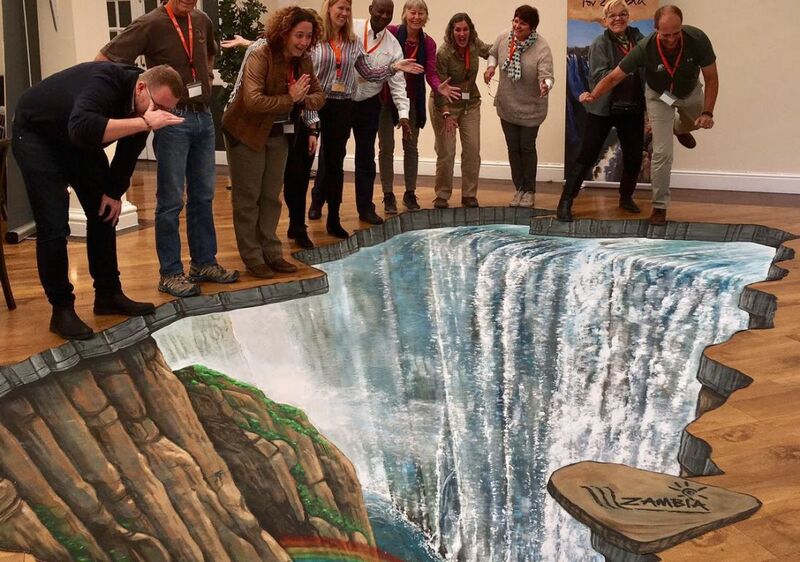 The highlight of the show was undoubtedly the 3D painting of Victoria Falls by some of the UK’s most innovative street artists. 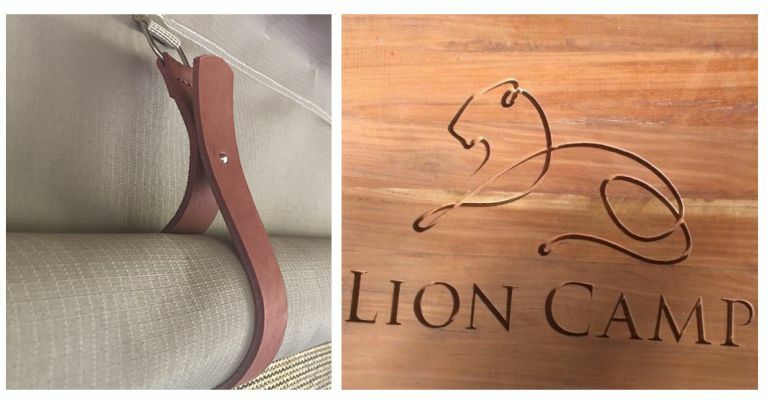 The Lion Camp refurb has provided our staff with many opportunities to learn new skills. Our waiters, barmen, housekeepers and back of house staff have learned building skills such as bricklaying and carpentry. The refurb has also given our two head chefs a unique training opportunity in South Africa. Freddie and Phil have been cooking delicious meals for Lion Camp guests for many years. 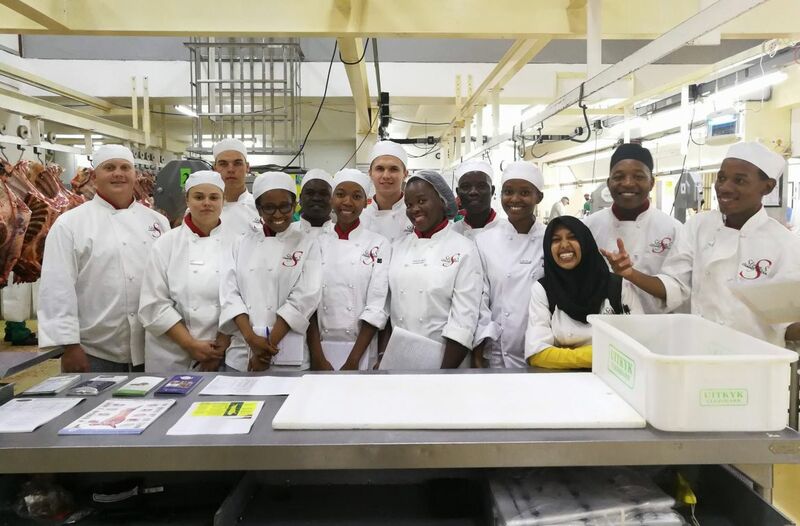 They are now attending a 10-week professional chef course at the prestigious Steyns Culinary School in Pretoria to learn new and advanced cooking techniques. The course also includes training on menu planning and food costing which are, of course, very important elements of running a kitchen in a remote safari camp. Freddie and Phil will return to Lion Camp later this month and we are all very excited to find out more about what they have learned and, most importantly, to taste the new dishes they have mastered.